Let's make a deal. Let's not ever let layers or scarves or chunky sweaters go out of style... please? One of my favorite things about the cooler months is layering. 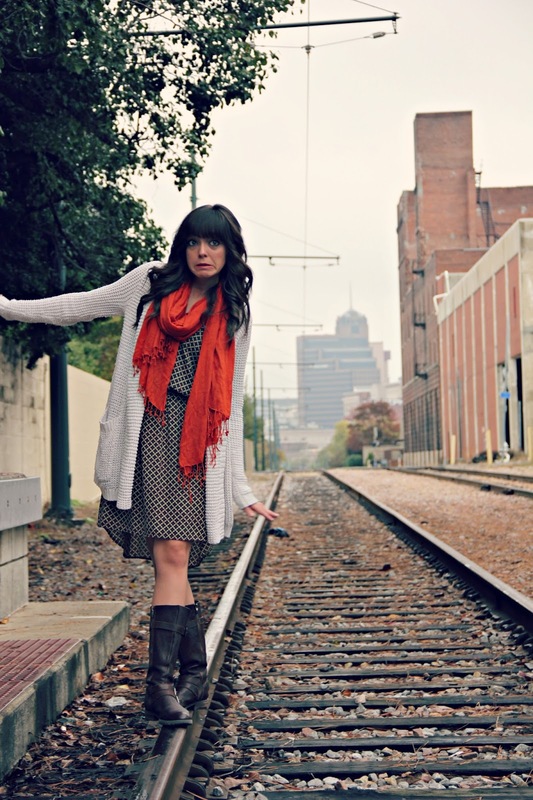 I love that a cute dress can be worn a ton of different ways when paired with different sweaters and scarves. Also, I feel like since I posted all my crazy outtakes yesterday, I have to include this picture.... No. This was not staged. Layering is basically the only thing I like about colder months so I definitely want it to stick around. 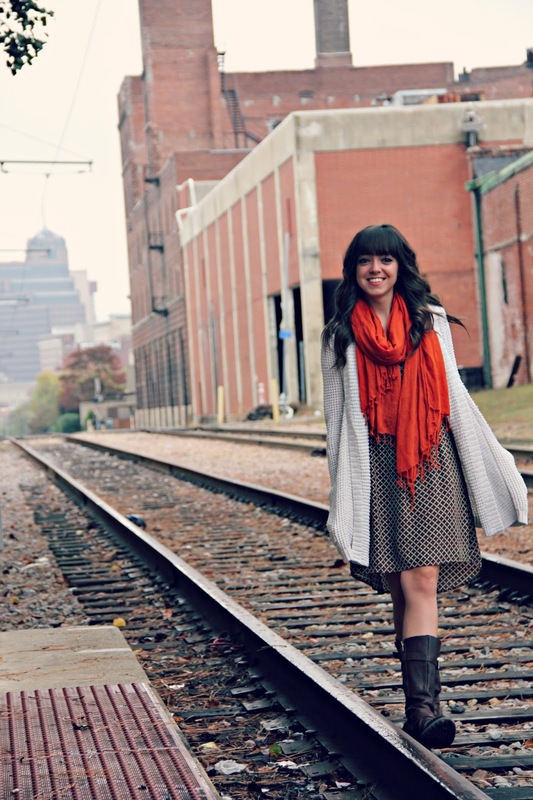 These photos are so cute and I love the pop of color with the scarf. 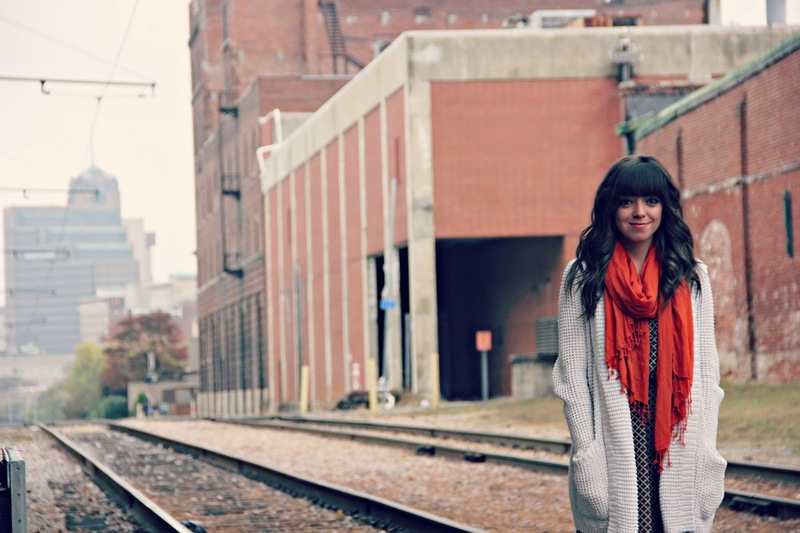 I love that your scarf give this outfit the perfect pop of color! I also love the different pairings of neutrals. You're totally adorable! 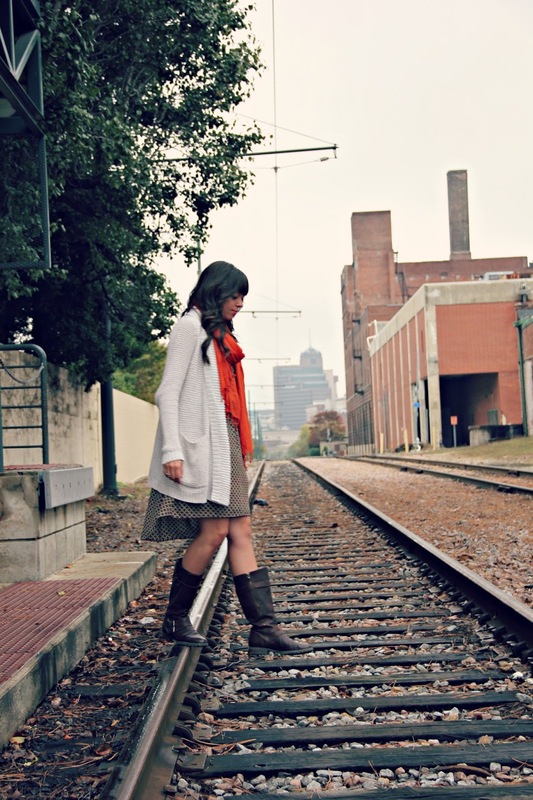 Lovely layered outfit (I need to try this with my dresses) and great photos. 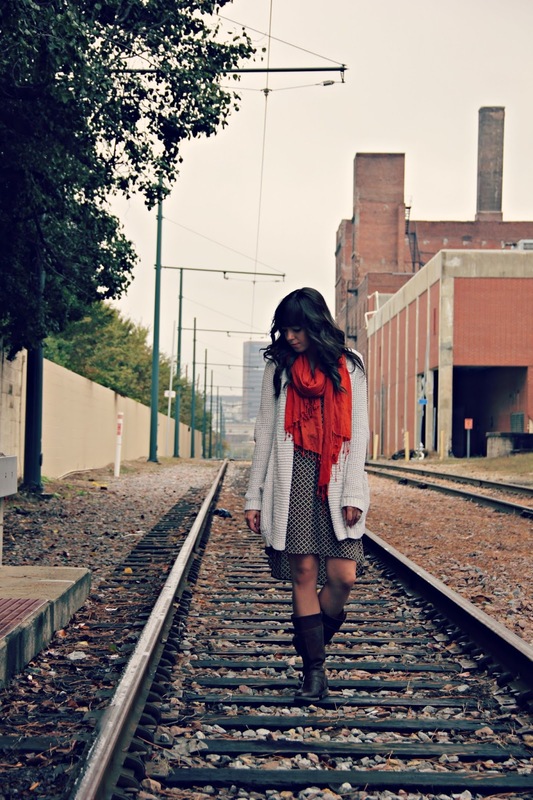 Sometimes my greatest photos are taken on train tracks.